Epoxy floor paint is one of the most popular kinds of garage floor paint around. 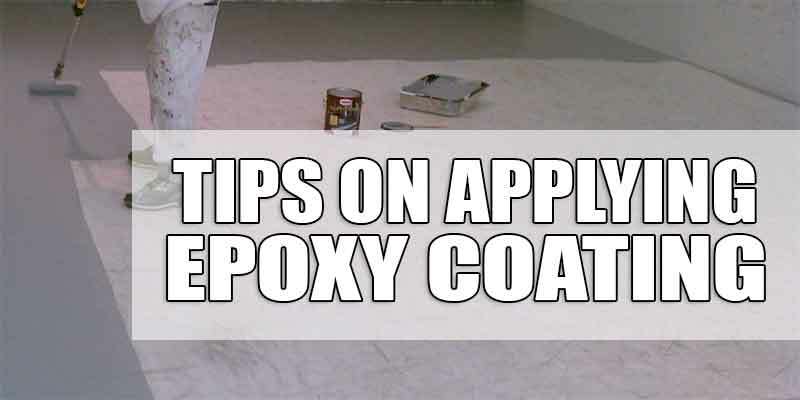 This is because epoxy is known to be mildew resistant and dust and spill proof. 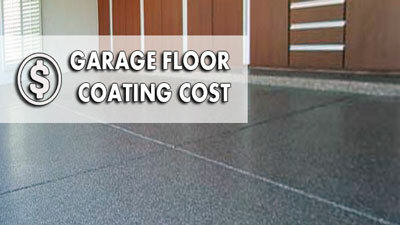 It also lengthens the life of any concrete garage floor. 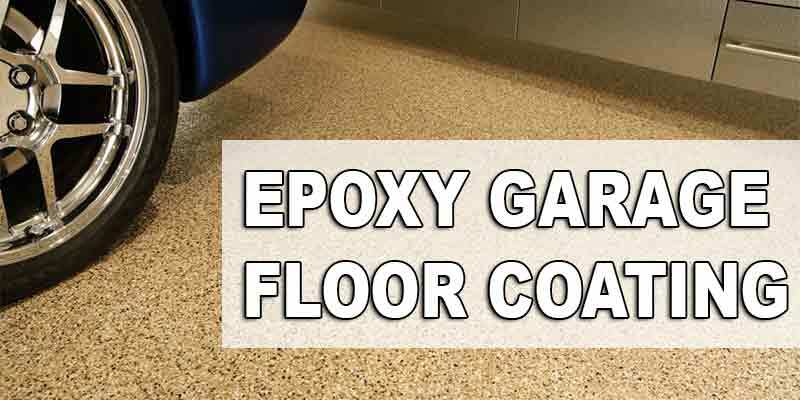 Anyone who wants to prevent any oil or grease spells or simply wants an easier way to clean the garage floor should consider applying epoxy garage floor paint to their floors. Though the prep work is a little daunting, the results speak for themselves. 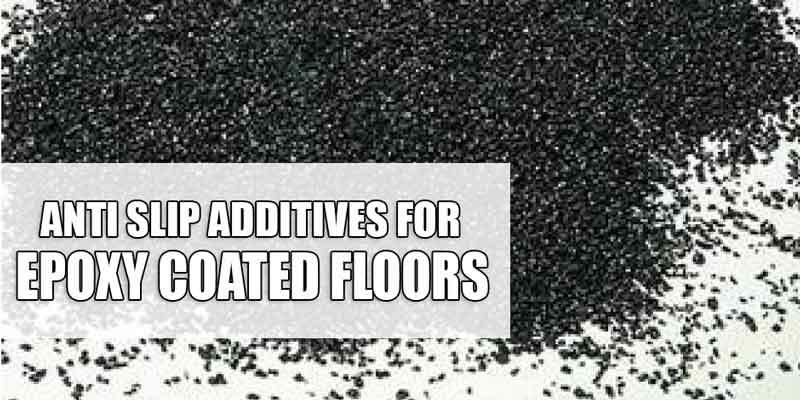 Many have enjoyed the advantages of having an epoxy-coated floor. 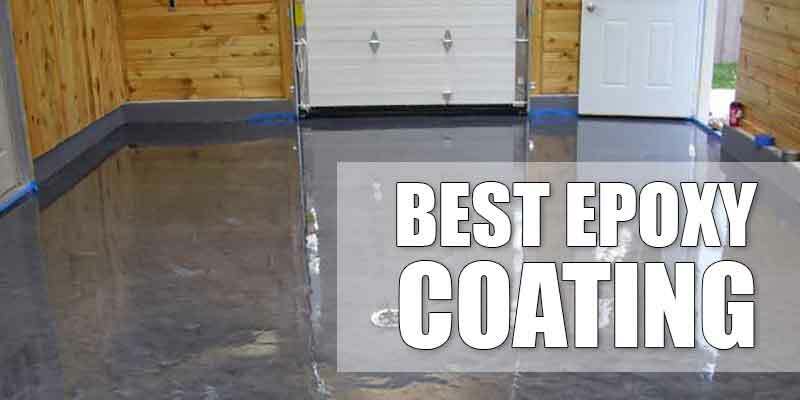 Out of all the brands of epoxy floor coating in the market, two stand out for having mixed to negative reviews – Rustoleum EpoxyShiled and the Quikrete garage floor epoxy paint kit. These two garage floor coating kits have gained notorious reputations in the garage floor painting market, though some are not really sure why. What is it with these floor coating kits that has audiences turned off? Before delving into what customers don’t like about the two kits, it would be proper to give a little background about these products. Rust-Oleum EpoxyShield is promoted as a trusted epoxy coating that is durable and protects against spills and hot tire pickups. This product is found to be reasonably priced at less than $100 in both online and in stores. Quikrete costs roughly the same or is slightly cheaper and could also be purchased both in stores and online. Both EpoxyShield and Quikrete are marketed to be a trusted epoxy coating that protects concrete flooring from common garage floor spills and accidents. Despite their marketing and their guaranteed protection, many customers have expressed their disappointments in both products. Some have reported that within months of application, the epoxy floor coatings have shown wear and tear. Some have said that dropping heavy objects on the epoxy floor cracks the surface or even completely peeled the epoxy surface off when the object was lifted. Even though some have argued that these homeowners did not follow the instructions to the letter and that their prep work was wrong, some have countered that despite following the instructions, the epoxy paint still showed signs of cracking and popping. Instead of these kits, customers have recommended other types of floor paints or other brands of epoxy. Some have had their entire garages redone after the disappointment in using the products have caused, and some have said it would have been better to hire a professional company to do the work. But do these two epoxy kits really deserve the flak and bad reputation that they’ve gained? Some experts have stated no. The problems, they’ve found, lie within a mix of poor understanding on the products, shoddy prep work on behalf of the customers who bought and tried them, and poor marketing. What most don’t realize is that both Quikrete and EpoxyShield and are two-part epoxy coatings that are water-based. The base of the coating allows it to be applied very much like paint and helps it adhere to the concrete like paint. The two companies make and market Quikrete and EpoxyShield as such and this could be one of the problems concerning the kits. Just because the coatings apply and adhere to the surface like paint, does not make it paint. Furthermore, the water base evaporates as the epoxy dries, making the thickness of the epoxy less than what was applied. This is mainly why the coating peels and wears in the first few months. 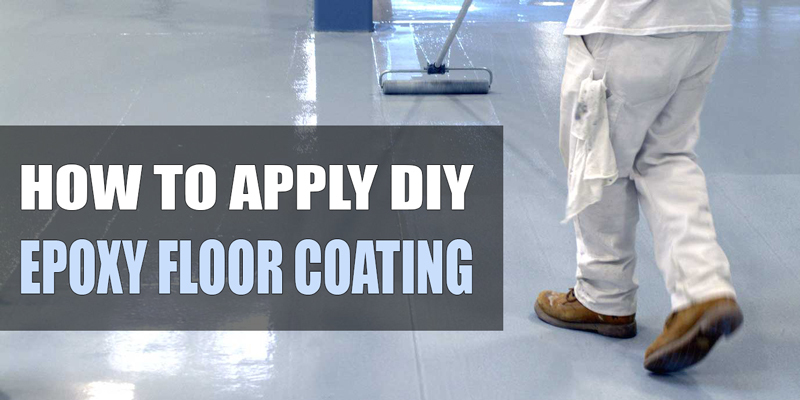 Proper epoxy coatings are at least 4 to 5 coats thick to give the floors that durability. Another thing that most people don’t know is that Rust-Oleum EpoxyShield and Quikrete are both one-coat kits with a semi-gloss finish. Other epoxy coatings are at least 3 coats with one layer of semi-gloss finish. What people are expecting from these two products are the same protection and finishes that more expensive epoxy finishes give, and are disappointed when they don’t give the results they want. What these people don’t realize is that the quality of the more expensive epoxy coatings that are used by professional companies is vastly different from what the two kits give. Another mistake that most people make is the prep work. 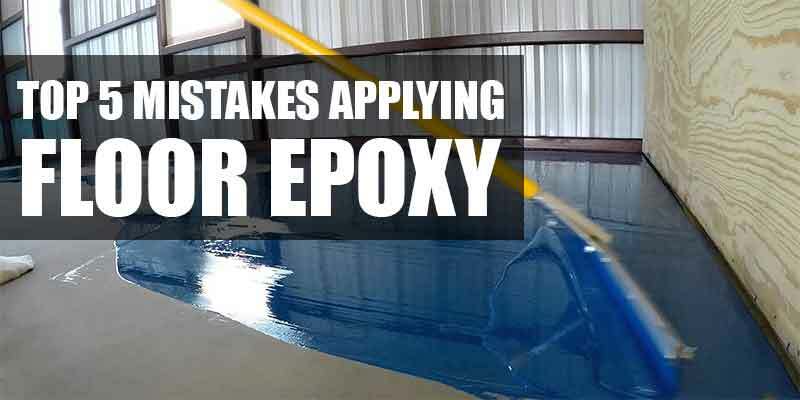 Preparing the floor for epoxy coatings requires a person to make sure that the porous surface of the concrete floor is open to receive the epoxy paint. The two kits provide their own cleaning agents, but some floors require stronger cleaning fluids like muriatic acid. If the floor is not properly cleaned and tested to ensure the preparation of the concrete, then all the work will all be for nothing because the epoxy will not stick properly. Most people do not know how to properly profile their floor and fail to do their homework, which is why they are disappointed when the epoxy starts to flake and peel. Because of the mistakes stated above, it’s safe to conclude that despite their commonly bad reputations, these two epoxy paint kits are not necessarily as bad as they seem. As long as the customer is aware what they have and what they’re getting, then the results should be realistic as the products as made to be. With proper prep work done to the floor and correct application, then the epoxy should adhere as intended. The lifespan of these kinds of one-coat epoxy floors, however, are much shorter than those of proper epoxy coatings, lasting only roughly three to five years. After this period, it’s important to reapply the epoxy to the floor again. For those who find that they are on a tighter budget and cannot call a professional company or cannot afford the more expensive epoxy garage floor coatings, then it’s not bad to give Quikrete and Rust-Oleum EpoxyShield a try. 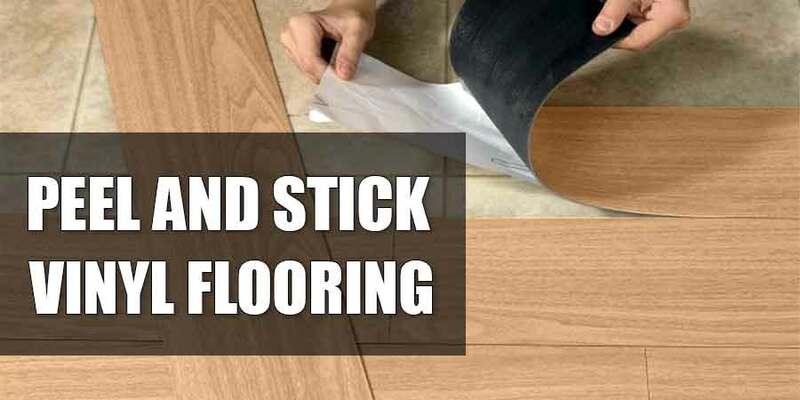 As long they follow the instructions and keep in mind that their floors may need stronger cleaning agents, then they can expect a fair amount of protection to their floors, though not the same amount that the proper epoxy coatings can give. Click here to go to Amazon to get Rustoleum Epoxy.